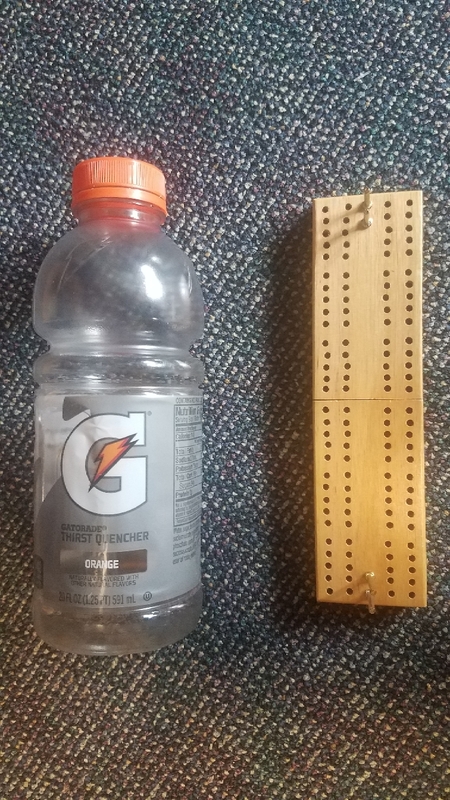 This is a basic cribbage board. The pegs are moved alternatively to track score for each of two players. There are sixty holes so that each player completes a number of "laps of the board" to reach a winning score of 61 or 121. What is this game with pegs in holes, jumping and capturing each other? What was this Mouse Trap-like game with a basket, stairs, and metal parts? Can anyone identify this labrynth/marble maze?